Watch your girl! Guard your gold! Hold your Jewels! … the Fox is loose! Vittorio De Sica’s wickedly funny farce features Neil Simon’s first screenplay. When a criminal mastermind known as the Fox (Peter Sellers) sets his sights on $3 million worth of gold bullion, he’ll hatch an elaborate plan to get it that includes setting up a fake film production and posing as its flamboyant director. 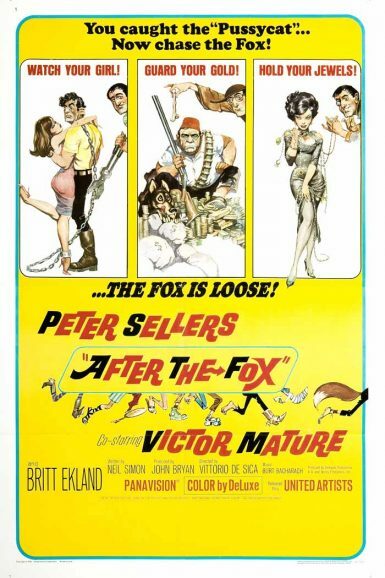 A clever send-up of the seriousness of arthouse filmmaking, After the Fox features Sellers in his prime, music by Burt Bacharach, a memorable animated title sequence, and great supporting roles for Victore Mature, Britt Ekland, and Martin Balsam. Lenny Cantrow is on his honeymoon and completely in love… just not with his wife. It doesn’t take long for Lenny (Charles Grodin) to regret his matrimony to Lila (Jeannie Berlin), a sweet yet unsophisticated woman, whose quirks go from cute to unbearable in their first few days of marriage. It’s love at first slight when beautiful and self-assured Kelly (Cybill Shepherd) confronts Lenny on the beach, and the two begin a whirlwind flirtation in the Miami heat. 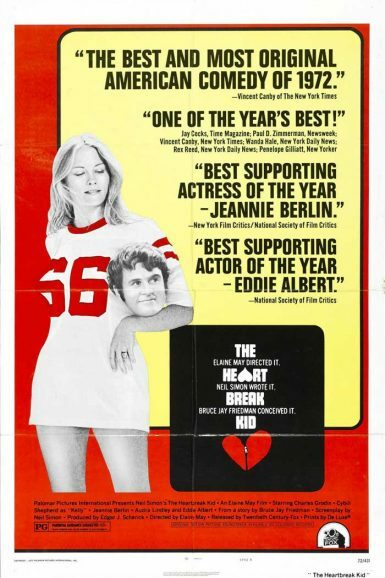 Find out whether Lenny will ditch the wife, get the girl, impress the father, and find some decency in the Neil Simon-scripted, Elaine May-directed The Heartbreak Kid.